How are the nation’s largest companies dealing with worsening employee health and increasing health care costs? 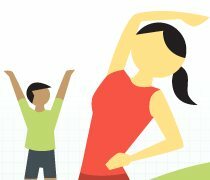 This is the question ShapeUp, an employee wellness company, sought to answer through its infographic, The State of Corporate Wellness Programs in America. Based on ShapeUp’s annual employer wellness survey, the company created the first ever corporate wellness infographic. So, what does it tell us? Employer healthcare costs are steadily increasing and obesity is the driving factor. Since 2001, the average annual employer health care costs doubled to $15,073 in 2011. Ten percent of this increase is due to obesity and its related illnesses. Almost all employers with more than 5,000 workers offer wellness programs with most common being web-based resources for healthy living, a smoking cessiation program and some form of a gym-membership or on-site exercise facility. Improving employee health and well being is the top goal of wellness programs at 19.4 percent. Nutrition and stress reduction were the lowest goals at 2.7 percent. Most employers offer incentives —an average amount of $375­—but no consensus exists on how to best use them. Employers split down the middle, 50/50, on using health risk assessments (HRAs) in wellness programs. Males, remote workers and employees without internet access are the hardest to engage. Language, culture and geography put up barriers for global employers when pertaining to corporate wellness initiatives. The three keys to wellness success include 1) Achieving high employee engagement 2) boosting exercise and weight loss among employees and 3) reducing health care costs. The return on investment for top performing wellness programs is quite impressive —it can reach 600 percent through reduced healthcare claims, higher morale and increased productivity. When gauging corporate wellness, the health of each individual is important because each person contributes to the whole. How “well” is your corporate environment and what wellness programs, if any, do you offer?